Have you been caught drink driving in Corby? Welcome to our section on drink driving offences. We specialise in this area and can assist you at a Police Station or at Court 24/7 and at short notice if you have been caught drink driving. If you have been caught and arrested for drink driving, it is vital that you seek legal advice immediately so that you are aware of your rights and any defences that you may have. At Seatons, our dedicated team of lawyers and case workers provide expert, legal advice in this field, and can assist you with your situation from start to finish. Please contact us about your drink driving offence on 01536 276300 or use our online enquiry form. What Are The Prescribed Limits Of Alcohol When Driving? What Are The Prescribed Limits? • 35 micrograms of alcohol in 100ml of breath. • 80 micrograms of alcohol in 100ml of blood. • 107 micrograms of alcohol in 100ml of urine. If guilty of drink driving, you will face a mandatory ban of at least 12 months. It is essential therefore to seek legal advice before you taking any further steps. If you have previously been convicted of a drink driving offence in the last 10 years whereby you have been disqualified, the Court MUST disqualify you for at least 3 years. When arrested for drink driving, it is important to have a clear knowledge of the defences potentially at your disposal. 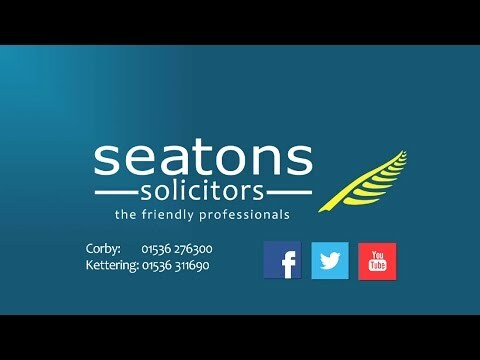 At Seatons, we will analyse and de-construct your case to find out if any can apply to you. If successful, this legal argument means you can avoid a disqualification or penalty points on your licence. • It must be something that the court should properly consider when imposing punishment. Depending on a number of factors including the risk to the public, the shortness of the distance driven may allow you to avoid a driving ban/penalty points. Genuine emergency situations whereby you feel you had no alternative but to drive may allow you avoid a driving ban/penalty points. If you have later found out that you have consumed more alcohol than you intended, our experts will be able to calculate what your reading was likely to have been without the additional alcohol. If this calculation takes your alcohol level below the legal limit, we may be able to argue special reasons and avoid a driving ban. Some drugs and medical conditions are known to influence the rate by which alcohol is eliminated by the body. Our experts will be able to calculate whether the alcohol reading is in fact an accurate reflection of the amount of alcohol consumed. Commonly referred to as ‘the hip flask defence’, this defence can be used when you were below the limit at the time of any alleged offence but, by the time the Police had taken a breath test, alcohol had been consumed which resulted in a reading above the limit. For this, forensic evidence would be required to allow the Court to appreciate that you would have been below the limit at the time of driving. You would need to show that there was a compelling reason to drive. It involves proving that you feared for your life or serious harm to you or someone else. Depending on the circumstances, this may amount to a legal defence, thereby avoiding a conviction and disqualification. The offence of drink driving can only be committed on a public highway. Some land may be open to the public but private in the legal sense means that the class of users is restricted in some way. If proved, this will allow you to avoid a conviction and a disqualification altogether. The Police are obliged to ensure that they have carried out the legal process correctly and, if any errors have been made, this could result in a wrongful conviction. As a result, if you believe that the officers did not rigorously execute the procedures effectively enough, or that the breath/blood/urine reading you produced did not match the volume of alcohol you consumed, then you may have a defence. If you have been caught drink driving, contact us now! For more information on drink driving matters and to see how the law applies to you, contact Seatons Solicitors on 01536 276300 and receive a quote.